Employers rely on the outstanding organizational skills of high-performing employees in order to properly manage assets and increase operational efficiency. Organized information is easily retrievable and creates lean, uncluttered processes and procedures. Employers measure organizational skills to gain insight into how job candidates prioritize and organize their work. Testing for organizational skills also gives employers a glimpse of how well candidates will manage their time. 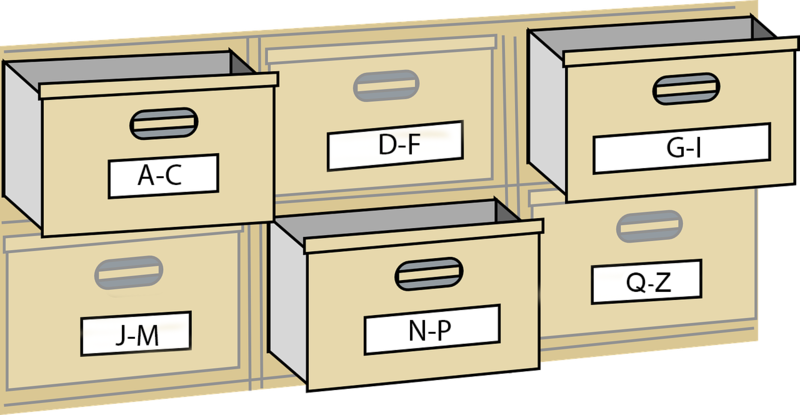 Properly store, sort, and retrieve important electronic data. Group documents into appropriately named folders. Use appropriate file-naming conventions for business documents and folders, ensuring that important information isn’t misplaced. Swiftly apply alphabetical order, chronological order, and other rules to sort data. Use this organizational skills test to quickly and easily automate your screening for entry-level or experienced candidates, especially administrative assistants or any other positions requiring a keen understanding of organizational methods. The office manager wants to quickly sort records by the client’s last name. Which file-naming convention would help you best communicate this information? 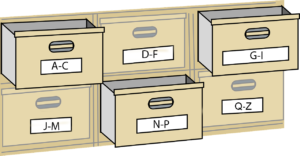 Into which drawer should you put the file for Maple Transit Assistance? The Organizational Skills module content was developed by the Indeed Assessment Science Team, with expertise in Industrial/Organizational Psychology, Instructional Design, Education, and Graphic Design. In addition, team members worked in collaboration with subject matter experts (SMEs). Indeed’s SMEs are required to demonstrate experience performing at a high level, supervisory experience, or responsibility for defining requirements for those jobs that require organizational skills.